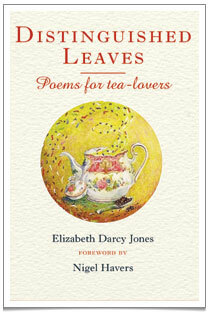 “Distinguished Leaves” by Britain’s Tea Poet, Elizabeth Darcy Jones. Available now on distinguishedleaves.com and Amazon. ‘Distinguished Leaves’, by Britain’s Tea Poet Elizabeth Darcy Jones, is a book that simply oozes charm. I consider myself very honoured to have had an association with this jewel of a book and with the Tea Poet herself. The authorial voice of ‘Distinguished Leaves’ is quintessentially British, slightly quirky and whimsical in a deeply appealing way. Who but a Brit would have had the wit to come up with the concept of ‘poetea’? 37 teas are re-imagined as human characters, their personalities delicately differentiated in poetic language that moves between sensual and witty and is always clever, and musical, and again I have to use that word, charming. I’m even in there myself, in the guise of Big Snow Mountain Green Pu Erh. From the foreword by Nigel Havers all the way through to the afterword where the Tea Poet imagines herself as a tea bush, she ranges far and wide through the world of teas, not neglecting Pu Erhs, white and green teas, oolongs, tisanes – the whole gamut – and through this process shows that she has a real understanding of and passion for tea. 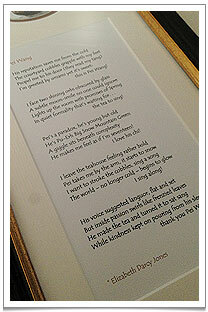 A lovely framed version of the tea poem “Pei Wang” made by Elizabeth Darcy Jones. These are original verses, full of delight, fun and gracefulness. I was very proud to be presented by Elizabeth with ‘my’ poem by Britain’s Tea Poet at the book launch at The Savoy Hotel, beautifully framed and now taking pride of place on our wall. It was also a great pleasure to work with Elizabeth on formulating, in her honour of course, the Tea Poet’s Tisane. This consists of Organic Emperor Pu Erh 2008 vintage together with whole rosebuds. 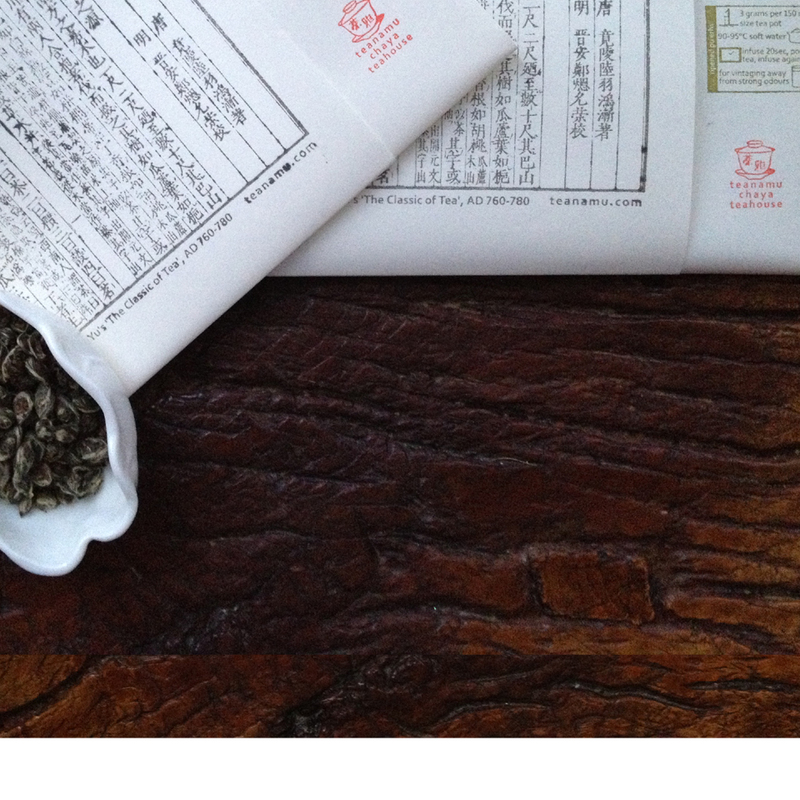 The tisane, a lovely merging of East and West, is available at Chaya Teahouse and at distinguishedleaves.com. The book makes a fabulous gift for a birthday, Valentines Day or Mothers Day. Come and hear Elizabeth read poems from ‘Distinguished Leaves’ at Chaya Teahouse at 2 pm in Sunday 11 March!